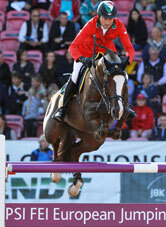 of the last past years under the saddle of Rolf-Goran Bengtsson. 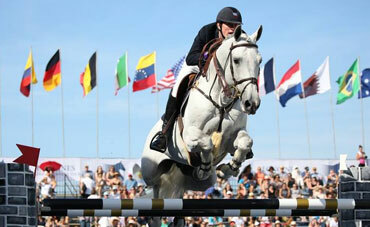 Casall rises up the ladder of the World Sires rankings. 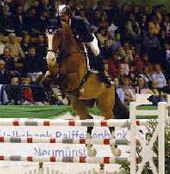 He is placed 3th in the WBFSH jumping sire ranking 2018. 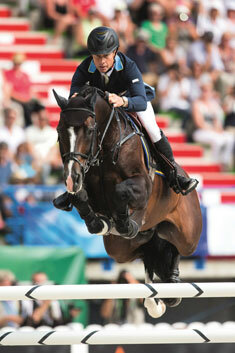 He is a son of Caletto II, sire of other great performers like Classic Touch, ranked in several CSIO in Grand Pirx and World Cups. 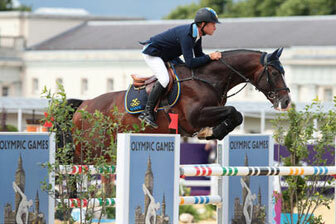 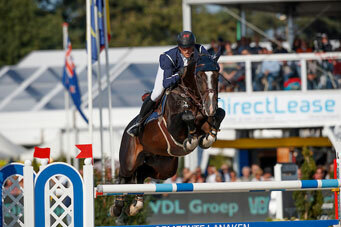 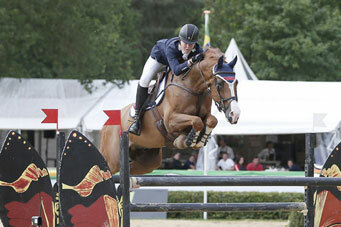 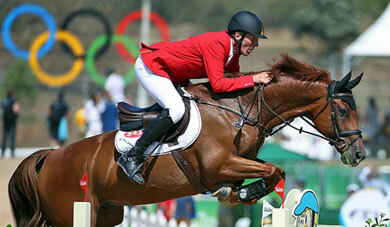 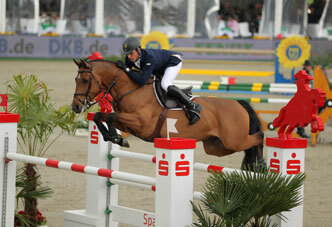 Caretino is doing internationals showjumping since his 7 YO. 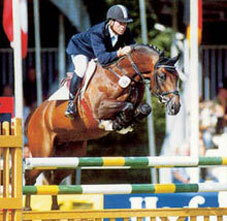 Then, since 1995, he is doing only breeding because of the big demand. 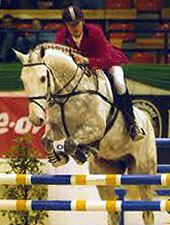 In 2010, he is placed at the 4th place of the WBFSH sire ranking list. 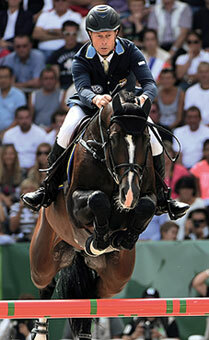 Caretino's outstanding offspring includes many internationals showjumpers like Cristallo, 2nd of the 2007 Rome GP CSIO5* ; Caresino, Coconuts, Crocodile Dandy, Caretano Z, Chupa Chups, Varetino OH, and stallions like Casario II, Clapton VDL, Cefalo, etc. 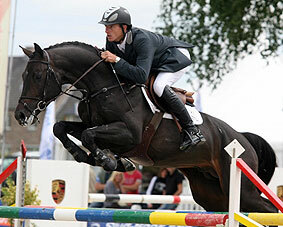 Kira XVII, his dam , has produced other stallions like Clarence I C, performer in CSI and Clarence III C.
Duldige, his 3rd dam, is also the grand dam of Cezanne, CSI 1,60m. 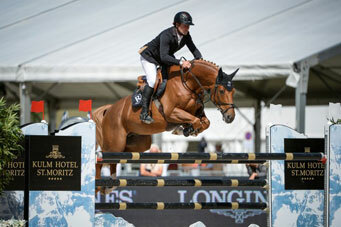 Casall ended his long, regulary and shinning international career with a great success in Hamburg 1,60m Grand Prix CSI5* in 2017, which was very emotional ! 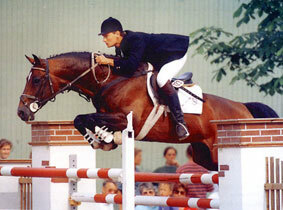 He is also the father of horses ranked in the Top100 world best showjumper (by profit): Casello (31e), Cita (36e), Caracas (42e); Chilli Willi (45e), Chesall Zimequest (72e). 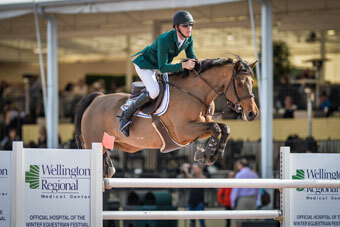 Among his best products placed in Grand Prix CSI5*, there are especially : Chesall Zimequest with Simon Delestre, ISO 183, the stallion Casallo Z ridden by P. Bucci, Casello who went to RIO Olympic Games with Ludger Beerbaum, Caracas (1er CSIO5* Barcelone et Rotterdam 2018), Cita, Chilli Willi, etc. 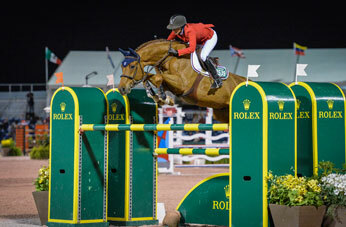 We also notice : Pretty des Etains ISO 130, Cristallo A ISO 174, Cayena ISO 136, Jimy ISO 146, Vanessa II ISO 151, Vivaldi du Dom ISO 156, Casa Princessa ISO 143, Connor ISO 148, Casall de Fuyssieux Z ISO 150, Zallina Floreval ISO 137, Annabell I ISO 145, Cacharel V't Ameldonk Z ISO 133, Invitro du Caillou ISO 134, Istanbul VH Ooievaarshof ISO 143, Umea de Pleville ISO 146, Casala de la Fontaine ISO 139, Casalor ISO 135, Cassalfino ISO 137, Cordial ISO 150, Creta LS ISO 149, Granada ISO 133, etc. 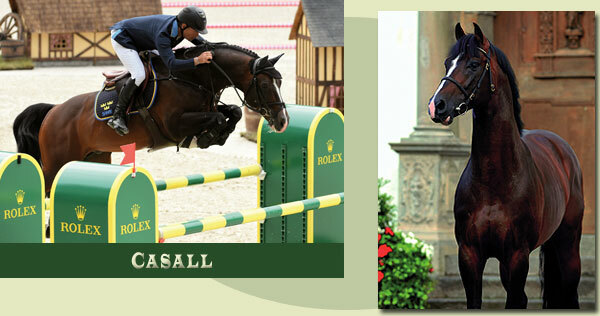 Some of his young products have been ranked in the Top10 during the France Championship of SF Foals and 2-3 YO: : Ildune du Cedreboguin (10e Foals Chp (young mares) 2018), Ilade des Chaines (8e Foals Chp (old mares) 2018), Indianapolis I (7e Foals Chp (young male) 2018). 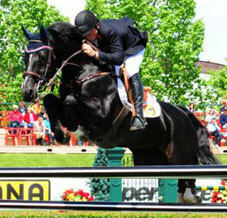 This famous stallion Casall is ranked among the best stallions worldwide !